Black & Ginger has been appointed to design the branding and concept for The Sea Odyssey, a marionette street event commemorating the centenary of the voyage of the Titanic, taking place in Liverpool next year. The consultancy was appointed to the project about two weeks ago following a creative pitch alongside at least six other consultancies, according to Black & Ginger. The project will see the consultancy create a logo and identity that will be shown across all touchpoints including advertising campaign posters, the website, press adverts and potentially an app. Alex Frech, creative director of Black & Ginger, says the consultancy is also creating a promotional animation using ‘Super 8 vignettes’ and ‘period style colours and animation’. 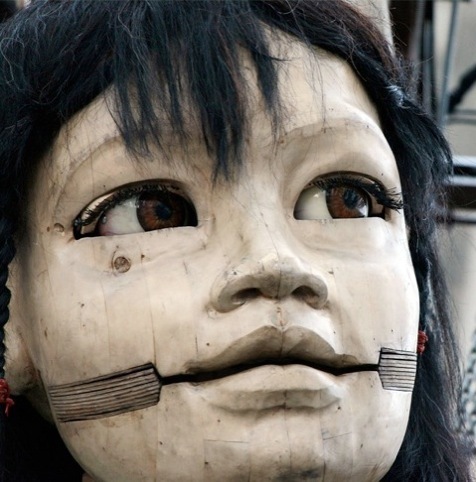 The events centrepiece will be the Little Girl Giant marionette (pictured), which will feature in the animation. Black & Ginger’s designs are inspired by promotional material produced from the period by British shipping company White Star, which owned the Titanic. The event is organised by Liverpool Vision, the economic development company dealing with city regeneration, which is working with street theatre company Royal de Luxe. The event forms part of the newly launched Liverpool Plan, which is aims to promote Liverpool in a positive way.